Spring Activities For Toddlers - Things You Can Do At Home! 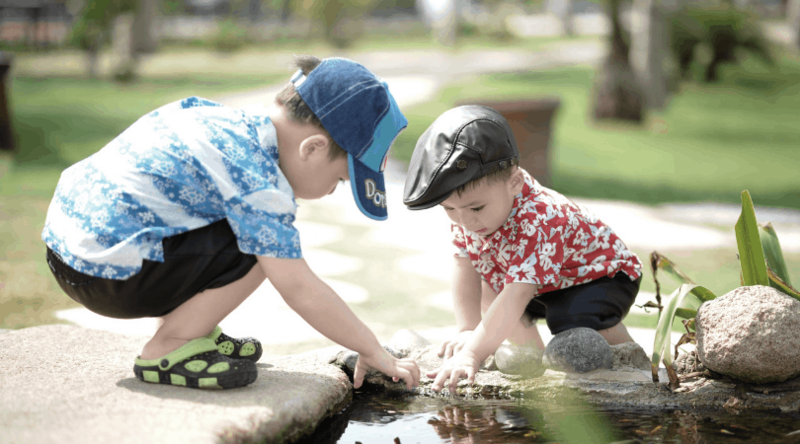 Is your toddler getting spring fever? Mine is as we close out this winter season. My mind is running with ideas of spring activities for toddlers to help her break out of winter mode even before water play and summer fun is in order. 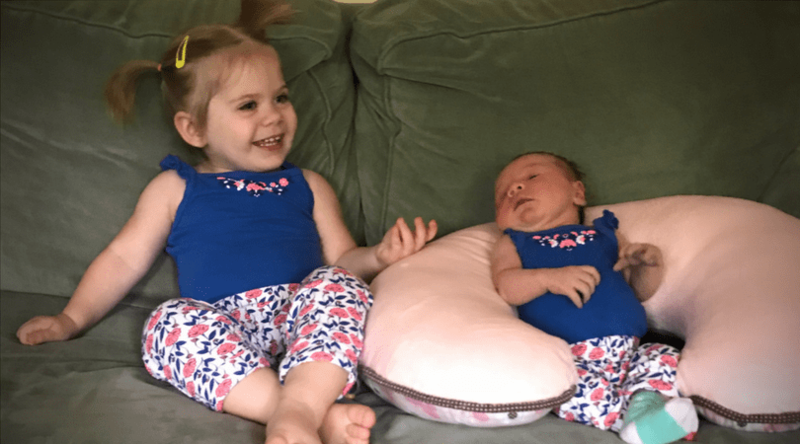 With an nap-needing infant at home as well it is sometimes difficult for us to spend large blocks of time out and about, so I look for creative things that we can do around the house to have some fun that is more structured than just free play. This year there are a few spring activities for toddlers on my bucket list to enjoy with my daughter. A few we have already knocked out, and a few I still hope to do with her in the coming weeks as spring unfolds. If you’re looking for toddler spring activities to help your child push through to summer, maybe you can use some of our ideas or they can help you think up some of your own! We live in an area where we have sidewalks and some yard, so if you live in a setting without these things then you might need to modify or come up with some activities unique to your home. We already started this spring activity since you are often able to sow vegetable seeds indoors 6-8 weeks before the last frost of the year. Depending on your location it will vary as to when you can begin starting seeds. To sow seeds you simply need a few small containers with drainage (I used Dixie cups with a hole poked in the bottom and set on a tray), some soil, and seeds! My daughter thoroughly enjoyed getting her hands dirty at the kitchen counter with me filling Dixie cups with dirt and placing the seeds inside. It’s also been very fun for her to watch some of them start to grow over the last couple weeks! Even though it still felt like winter outside when we undertook this spring project, it feels like spring is in the air as we watch fresh green plants grow each day. She also enjoys helping to water them now each day. Toward the end of spring I will also have my daughter help to dig holes and move the seeds into the garden! What toddler doesn’t love to get covered in dirt? Even if you still have to bundle up a bit to be outside on some early spring days, it’s still easy to enjoy coloring with some sidewalk chalk! Sidewalk chalk is cheap and can bring hours of fun to a toddler with any sidewalk or driveway to make their personal canvas. My daughter loves it when I draw a hopscotch for her or roads for her riding toys to go on. On her own she loves to simply scribble the colors and tell me about all of the elaborate things she is drawing. Her sidewalk chalk stash is almost gone so we just ordered her this pack to avoid running out again anytime soon! Toddlers are fascinated with things found in nature. I guess it makes sense that they would be since many of the things they may not have even seen before in their short few years of life. I recently found a few small feathers outside in our first warm days of the year and my toddler daughter would not let them out of her sight. We put them in the little pocket on her pants and she enjoyed them even after we came back inside, talking all day about how they came off of birds but now they were hers. Collecting nature items and gluing them all to a piece of paper inside can be a really fun way for toddlers to enjoy spring while learning about their world! If you are even more ambitious you can write out a list ahead of time of several items you would like to find and challenge your toddler to search your yard for them. Going for a walk may sound like such a simple activity, but my toddler loves to do it! She enjoys collecting weed flowers, little rocks, or leaves along the way and pointing out every airplane or notable bird. As a double benefit, I get some exercise from it too! This year I may begin to allow our toddler daughter to ride along on her tricycle for walks. That will make it an extra exciting activity for her since she is not permitted to ride her tricycle anywhere off of our property! A lot of spring activities for toddlers involve exploring the thawing world outside. This activity is actually an indoor one, but it ties your young one to the outdoors at the same time. You can craft a fun bird feeder inside and hang it outside near a window that your toddler frequently and easily sees. They will love to watch birds swoop in and eat from their own creation! There are a ton of ways to make a home bird feeder, ranging from very simple to more artistic and complex. You can read a guide to 32 different ways to craft one here. I think we are going to try to make the bagel bird feeder this year – it looks like one even a young toddler can participate to make! Last but not least, you can’t go wrong with bubbles in any form as one of the hit spring activities for toddlers. Toddlers enjoy the challenge of trying to blow bubbles with a basic wand or you can make it an even bigger activity by using a large bubble wand that they dip into a dish of bubbles and wave in the air. 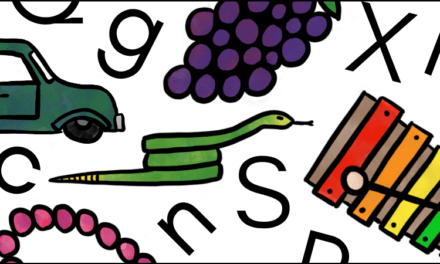 This method is even easier for toddlers to enjoy doing themselves. For my fiercely independent daughter that is a win! If you’re anything like me it is sometimes a challenge to think of things to make my toddler’s time at home more structured and fun. As it begins to warm up a little bit outside I’ve been trying to be more purposeful to get her out, taking in the fresh air and change of routine when we can. 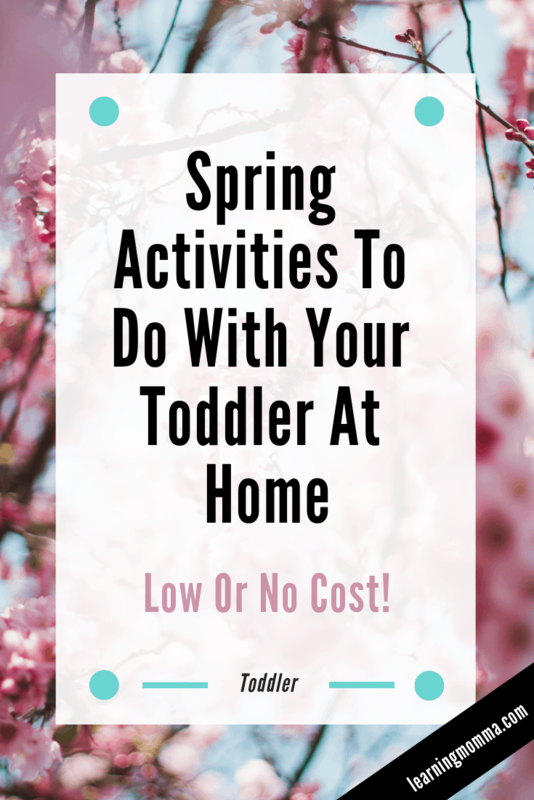 If you’re in a similar situation it is my hope that the toddler spring activities above may help you find some new things to add to your day!